Chin up, sport. Aston Martin is almost ready to show off the upcoming DB11, the hotly anticipated successor to the DB9. 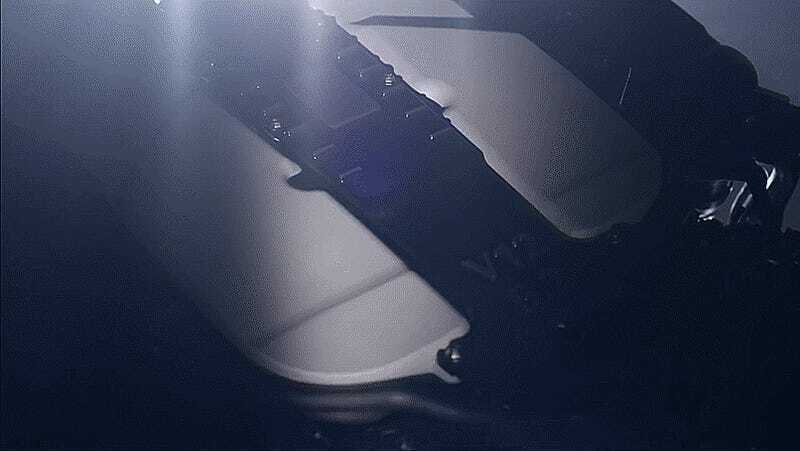 Lucky for us they teased the most important part of the new car — its all new 5.2 liter twin turbo V12. Thank whoever you need to thank, because Aston Martin confirmed it’s keeping a V12 in the lineup with this teaser video for the DB11, allowing us to experience the blood pumping sound of an all-new, Aston developed V12. This time around, Aston has more than just two Ford V6 engines bolted together. CAR Magazine got a lucky scoop late last year when a spy photographer captured a switch marked as “intercooler” in a DB11 mule, cluing us in that we wouldn’t be getting a naturally aspirated Aston any longer. Yet, until now, it was speculated that this would be a carryover of AMG’s 5.5 liter twin-turbo V8, so these four extra cylinders come as a slight surprise. It should be noted that AMG’s engines will still be creeping into Aston’s upcoming all-new lineup over the next few years, we’ll just have to wait and see in what sort of capacity. Top all of that off with confirmation that Aston will also keep a manual in the lineup — just not necessarily mated to this new V12 — and it’s starting to look like the Aston Martin we know and love will continue to be just that. The engine will apparently be at the Geneva Motor Show, hopefully with a DB11 wrapped around it.